On February 26 I gave a brief presentation co-sponsored by North Coast Small Business Development Center and the Redwood Technology Consortium’s Internet Marketing Group. As the title suggests it was a high level overview of the current state of social media marketing and my opinions on what works and what doesn’t. The slideshow isn’t that informative, but here it is in any case. Links to resources mentioned are below. Get people to market for you: If you provide value they will. Drive traffic to your site where you can control the experience (capture leads and/or conduct transactions). I would love to hear your experiences with making social media marketing effective and efficient. And any great tools you discover along the way. Add your comments below! And as always, please share this post on your networks. I post a lot on Facebook and Twitter about social media. But if you’re interested in getting more quality traffic to your site through search engines such as Google and Bing, then working on search engine optimization (SEO) is still very important. There are basically 2 major categories of SEO: 1) On-site optimization which involves building in keywords, properly structuring content and other factors and 2) Off-site link building. A key component to #2 is optimizing what is called anchor text. That is the text that a person sees as a link pointing to your site. The intricacies of anchor text can be hard to grasp and for me to explain. But this video by Rand Fishkin of Seomoz provides a clear tutorial on what anchor text is, why it’s important and how to go about getting links with properly formed text. Enjoy! Well, at times at least this one seems moribund. But as a form I think the blog is alive and thriving in spite of all the new forms of self-expression that have exploded recently. I asked this question as sort of a straw man to anchor my latest Tech Beat article which appears today in the Times-Standard. 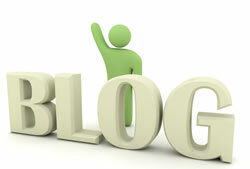 In that article I gave some tips on how to make an effective blog. I also promised I would post a list of other blogging resources for further learning here on Talking Tech. I’m a little late getting this together, but here is that list. It’s not intended to be comprehensive. It’s short on purpose, not to overwhelm. But there’s certainly plenty of good advice to be found in these resources. Please feel free to offer your own advice and/or resources in the comments. In my most recent Tech Beat article I included a reference to Gary Vaynerchuck’s Crush It! It was sort of a mini-review within a longer article. I thought I’d give the book more thorough treatment here where word count is not an issue. If you are looking for a blueprint for building a successful online business, you should consider reading this small (148 pp) book. It’s both inspiring and cautionary. If you can absorb both of those feelings and take them to heart you can also follow Vaynerchuck’s recommendations on how to build a personal brand and thereby create a variety of income streams both on and off line. Vaynerchuck begins the book with his “secret to success”: “Love your family, work superhard, live your passion.” Then he proceeds to tell his personal story to illustrate how he as followed those 3 rules to build a $60 million business. Briefly, he began working in his father’s local liquor store in New Jersey. He started out as a stock boy and cashier, but he eventually found a niche by reinventing how wine is reviewed and sold. Eschewing the enigmatic language with how wine was described and marketed he decided he wanted to make wine accessible to the average buyer. This helped him greatly expand the liquor store sales. But it was when he went online with his unique approach that things really exploded. And here is where his story will be of most interest to the online entrepreneur. Vaynerchuck lays out a set of steps if you want to follow his model for building a personal brand. If you watch his videos on Winelibrary.tv or elsewhere on the web you may not think you can or want to turn yourself into another GaryVee. He is well aware that his story and personality may not be a fit for everyone. And he provides some alternative paths. He also throws out some quick examples of people in other professions who are following their passions and even offers ideas for other businesses you could pursue. But be warned, it ain’t easy! Start creating community by leaving comments on other people’s blogs and forums and replying to comments to your own comment. Search Twitter.com to find as many people as possible talking about your topic, and communicate with them. Use Blogsearch.Google.com to find more blogs that are relevant to your subject. Join as many active Facebook fan pages and groups relating to your blog topic as possible. Repeat steps 12 through 16 over and over and over and over and over. This is a book to read to get you to turn off the TV and get busy. However, if you’re looking for specific instructions on how to use the various social media tools such as Facebook or Twitter you will need to look elsewhere. I plan to review other books and resources on social media and other topics here in the future. So check back. Apparently there is also a Vook (video book version), too. Some people think social media is a fad. It’s possible that the tools we know today such as Facebook, Twitter, LinkedIn and so many others are fads. But is the trend itself going to fade? What do you think? Is it a fad a powerful shift in the way we communicate and consume information and goods? Can You Get My Site on Page One of Google? Sure. For what search term? I don’t do a lot ofÂ pure SEO/SEM work. Why? Because I ask too many questions that clients can’t or won’t answer: For what term(s) do you want to be highly ranked? Isn’t the real goal to make more sales or get qualified leads? What kind of traffic are you currently getting? What are your expectations? How much of that traffic comes from organic search results? Where else do you get traffic from? What is the value of your web site and its traffic to your business? Are you willing to change the design and structure of your site to make it more spider friendly? Do you have time (or money to spend) for adding quality content? Do you know what search terms people are using to find you now? I don’t really expect most small business owners to have the answers to all these questions. But doing a good job at this takes some time and effort, especially if the business is in a competitive market. It’s not black magic. Most of SEO is common sense. But it’s also a long term, ongoing process with no quick fix.